Recently, HTC Philippines held an event to launch the HTC Desire S – the successor to last year’s Desire, which won Phone Of The Year awards from multiple publications. The Desire S has already been available at local retailers, but HTC took this opportunity to formally introduce it to the public with this unveiling. The HTC Desire S is a slimmer design with similarities to the original Desire with a few performance tweaks and slightly better hardware. They both have 3.7” 800×480 displays, with the Desire S sporting an SLCD. It now runs Android 2.3 Gingerbread, has a front-facing camera, aluminum unibody design, newer generation 1Ghz processor, new WiFi N capabilities, and higher capacity internal memory. Rounding out the features include the improved 5MP camera with LED flash and 720p video capture. With the Desire S, HTC is bringing the famous Desire design to a more affordable mid-range level by giving it similar specs and a 2011 revamp. Included with the package is still the award-winning Sense customized Android skin, with smart functions like flip-to-silent, flip-to-speaker, pocket-ringing, and other customizations. New to the Desire S will be the added HTCSense.com cloud features and various tweaks and upgrades that come as part of the new Gingerbread OS. 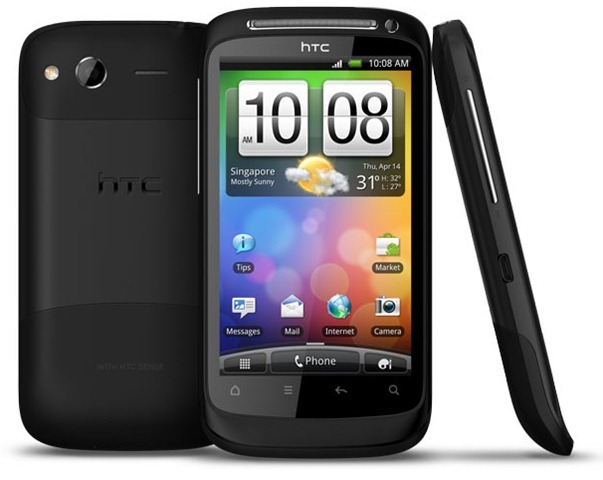 The HTC Desire S is available now in various official retailers for the suggested retail price of PHP 27,000 and comes free with Smart’s Plan 2,000. If you shop around, you can find some stores with the Desire S retailing for about PHP21.7k (CMKCellphones) – a great bargain for one of our favorite smartphone form factors. To learn more about the phone, watch the video below. And to see more pictures of the event, check out the gallery below.